On our conference call held on Sunday June 14th, we discussed a wide spectrum of exciting upcoming events to come ranging from the changes we can expect in our Body Odor Support forum to our non-profit organization, MeBO Research, with aims to promote metabolic body odor research. Could an FMO3 deficiency create a build up of multiple volatile compounds in addition to TMA in the case of TMAU, as well as in the absence of TMA as in the case of other body odor conditions, which are carried in our blood throughout our bodies?A new ‘Scientific Section’ in forum: In addition to having a gallery for photos, videos, music, literary works, art works, etc., VB will also allow for a Scientific Section, in which the opinions of experts and consultants invited by Arun could be posted, in addition to Arun’s own scientific opinions. This new VB will allow him to use a Database to organize data from past surveys and upcoming surveys to be answered by sufferers for it to be used in future scientific research and medical trials in an effort to find a cure. The new VB Blogs will allow each member to have his/her own personal blog, similar to Facebook, where we can each design it very much as our own. In addition to this, our personal VB Blog can also serve as a personal diary, in which we would be able to write about (document) our experiences living with odor, whether in a school setting, work setting, visits to the doctor, setting, riding in the bus, reactions of our family and friends, etc. Which are all the genes and metabolic enzymes involved in the various types of systemic body odor? Medical causes behind body odor conditions: We raised many questions, such as, ‘Could an FMO3 deficiency create a build up of multiple volatile compounds in addition to TMA in the case of TMAU, as well as in the absence of TMA as in the case of other body odor conditions, which are carried in our blood throughout our bodies? Which are all the genes and metabolic enzymes involved in the various types of systemic body odor? To what extend does the bacteria in the whole digestive tract contribute to the buildup of our bloodborne body odorous compounds?’ These are the main questions that our new non-profit organization, MEBO Research was created to address. To what extend does the bacteria in the whole digestive tract contribute to the buildup of our bloodborne body odorous compounds? 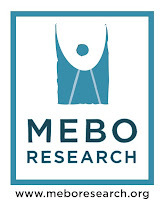 MEBO Research: Many questions were asked in the call about the developments of mebo, what its aims are, what type of research will mebo be pursuing, and how will the funds be handled. While funds are low, Mebo’s primary aims are to support research by initially funding smaller, less expensive, informal case studies to gather data to be used in future larger formal scientific research and medical trials. As funds grow, mebo will then be able to fund more expensive DNA testing focusing on FMO genes. Ultimately, it is mebo’s aspirations to be able to obtain an endowment to support a large-scale research effort that would seriously address any and all of the three questions mentioned above. How will MEBO funds be spent, what type of research will be done? Since all these bank accounts currently have a zero balance, we can only begin by fund raising, and based on the funds accrued, efforts to answer the questions above-mentioned will be pursued. Initially, informal case studies will be organized to analyze and document the microbial composition of the colon, while protecting the privacy of the sufferer. As funds grow, mebo will also fund more expensive tests, such as DNA testing. All this will be done in an effort to gather as much data as possible to find trends and commonalities in the body odor sufferers microbial composition of the digestive tract, the metabolic enzymes that could play a role in systemic body odor, and the genes that govern these enzymes. Funds raised: Fund balance reports will be posted in the website on a regular basis. Expenditures: Expenditures will be kept at a minimum in an effort to make each and every venture as cost-effective as possible. Reports will be posted in the mebo website as expenses take place. Test Results: All test results funded by mebo will be posted in the mebo website, protecting the privacy of the sufferer involved. At the present time, the creation of MEBO Research is at its final stages, as the development of its website is being completed.